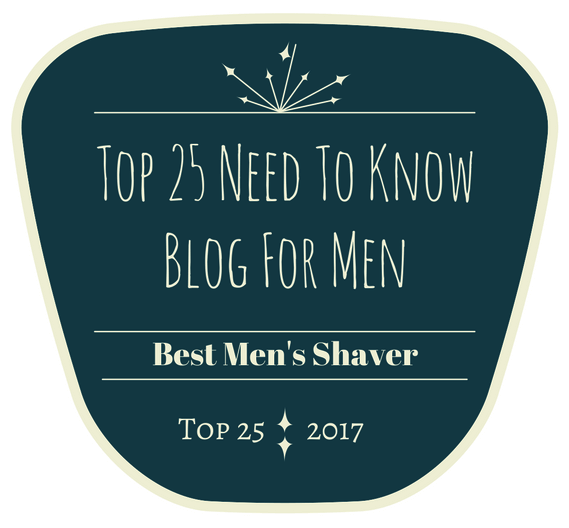 1 Year Anniversary Of My Mens Fashion Blog! This year has just flown by so fast, I cannot believe Your Average Guy Style is now 1 year old! Since my Fiancée suggested that I start my own fashion blog, the weeks and months seem to be filled with planning new blog posts and different outfits. I never actually believed I would continue with it for very long, so 12 months is quite an achievement for me and as it turns out, I’m loving it more than I would have thought! 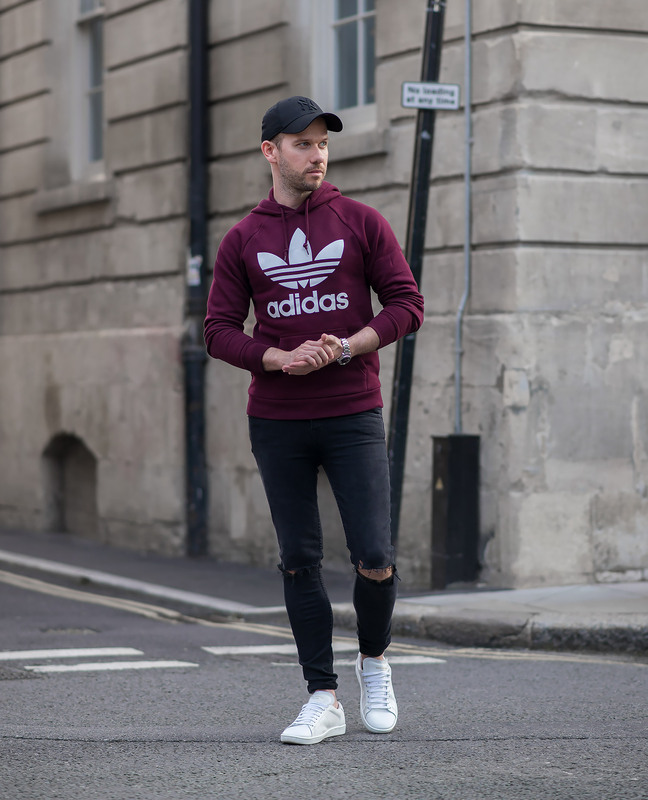 For this special anniversary outfit post, I wanted to celebrate the 1 year milestone with really good photos and a classic street style outfit. 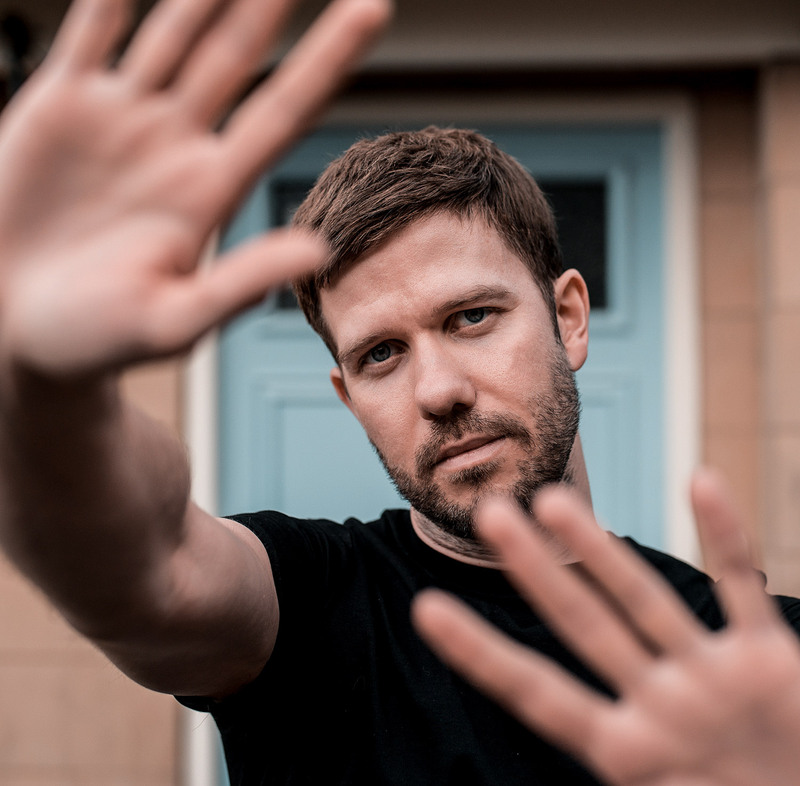 So on Friday, after some searching, we chose an excellent crossroads street area for the photos, perfectly shielded from the unwanted sunbeams chasing photographic issues. However, one problem was replaced with another. It is sandwiched between a busy hotel and a popular milkshake venue, causing no end of trouble with the busy traffic – both cars and people! 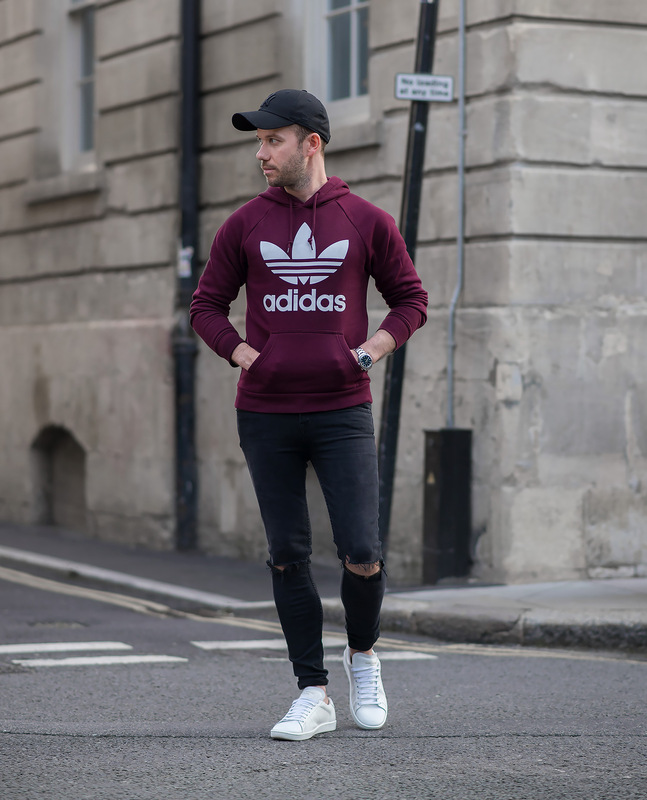 Thanks to Mainline Menswear, I have celebrated my anniversary post with the Adidas Burgundy Hooded Sweatshirt which is available from their well stocked line up! I fell in love with its colour the moment I laid my eyes on it. 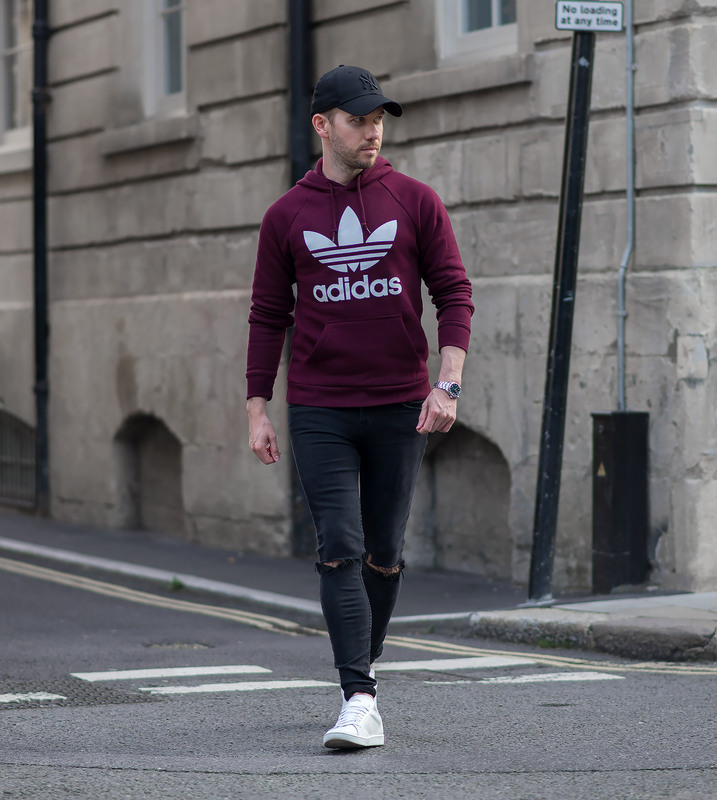 Not so long ago I would have never considered wearing any form of clothing (except footwear) from the famous German brand, but as the year has progressed, my style has chopped and changed dramatically, on many occasions I’ve surprised even myself with some of my clothing purchases! It was a no brainer for which denim I was going to pair the sweatshirt with. 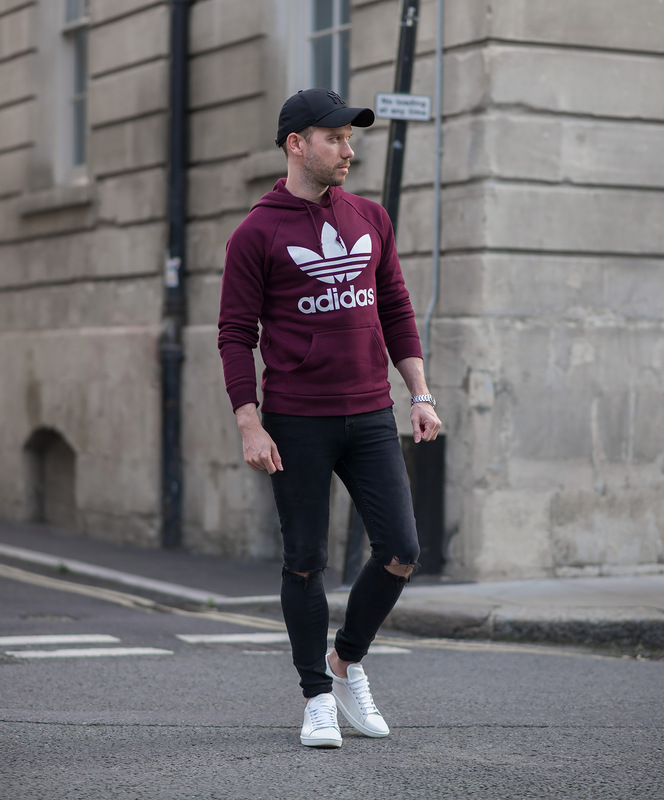 That deep red burgundy was made to be paired with my GRLFRND ripped skinny jeans! Adding an edgy look to their typically sporty trefoil logo. 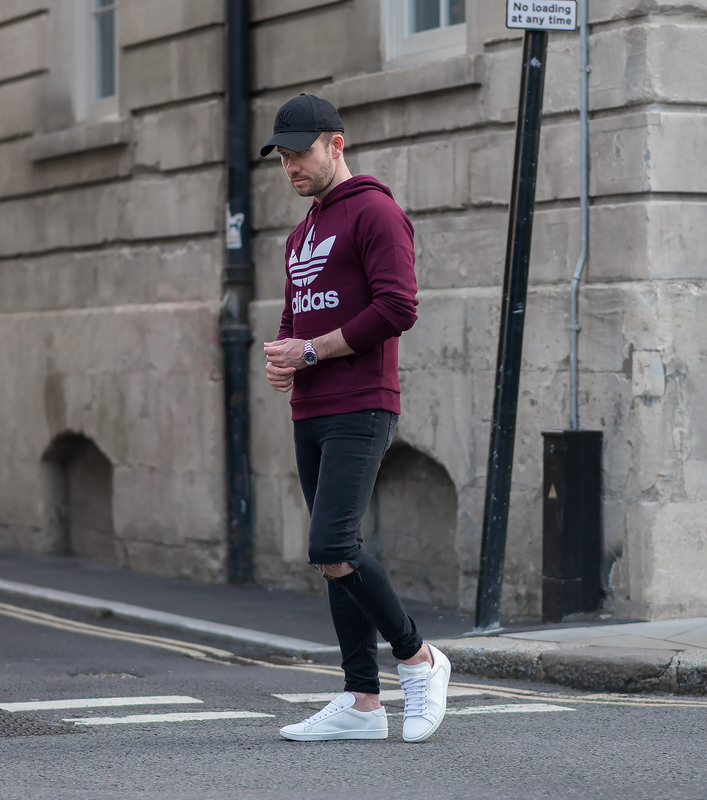 My footwear choice was always going to be a foregone conclusion – my trusty Saint Laurent White Sneakers (reviewed here!) which are minimal in design to allow that berry colour to really stand out. For this special post I had to of course choose one of my baseball caps from my collection. The obvious choice was the all black New Era cap which paired perfectly with my selected denim. Then finally, my Omega Seamaster Aqua Terra to finish it off and dress it up a bit. 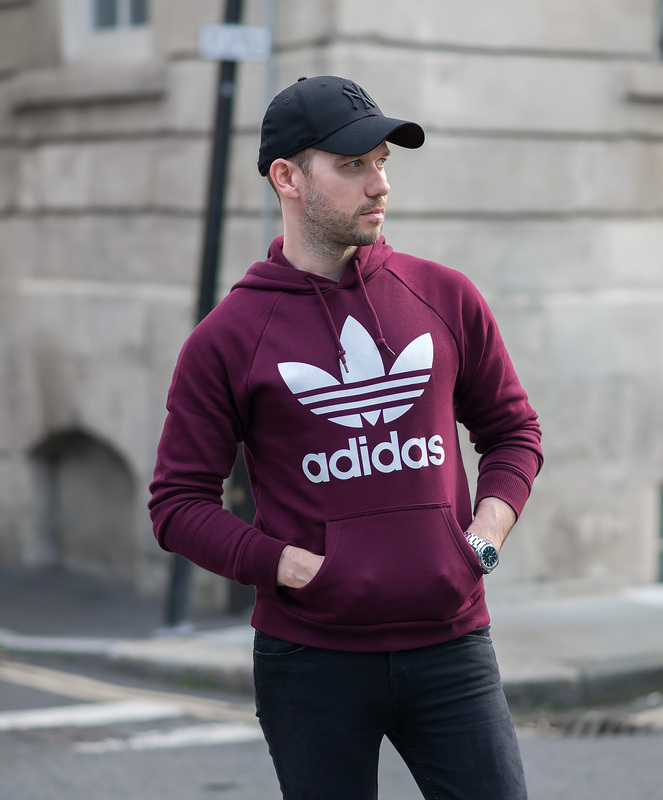 With my first year well and truly in the bag, I hope to continue my mens fashion blog for a long time yet! 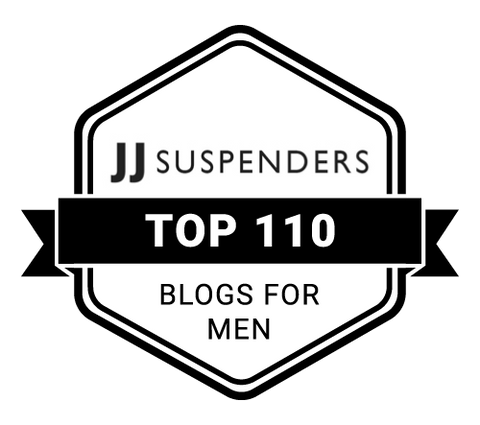 Thanks once again to my regular readers and any newcomers who stumble across my site! It wouldn’t be what it is now without your continued support. Thank you! Previous Post East Dane 25% Off Sale Time! Awesome post! Love the all photos.